15% Off - HSN Coupon CodeApril 2019 New + Existing Customers Save! Save 10% Off Your 1st $20+ Purchase at HSN.com! For new customers only: save 10% off your first order when your order's total is $20 or more. For Existing Customers: Save 15% When You Sign Up For HSN's Newsletter! This is a free way to get a 15% off coupon: sign up for their email newsletter! They'll send you a code you that you can use to save 15% off your order. The code is unique to each person. Save on your first in-app purchase! Use this promo code to save 10% off your $20+ order. Now get Amazon Fire TV Cube 4K + Universal Remote only at $79.99 plus free shipping! 15% off select bedding essentials! Now get 15% off select bedding essentials featuring sheets, pillows, mattress pads and more. $499 For a Proform Treadmill Bundle! Now get ProForm Cardio Companion Treadmill w/16 Workout Apps & iFit Membership for $499.94 Plus Free Shipping! One of the biggest Fashion clearance sale on HSN.com, Grab now! 25% Off Jewelry: Valentine Sale! 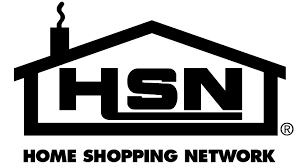 Better known as the the Home Shopping Network, HSN is a spectacular home television network that displays and sells unique consumer goods through its shows. Its main products are fashion and jewelry, electronics, home and entertainment and, health and beauty areas. HSN was founded in 1982 by several on-air personalities, with diverse styles. The company is American based with its headquarters in St Petersburg. Owned by Qurate Retail Group has sister channels in various other countries. your favorite or must-have products. The items will automatically be billed and sent to you on a regular basis depending on your needs. You are able to customize your schedule for future orders to be shipped automatically after 30,60 or 90 days. HSN features hundreds of discounts every day for their buyers. All prices and deals are broadcast on the network. Once you acquire a coupon, using it might be challenging. Choose your product and click on ADD TO BAG. The product seems to disappear once you add it to your bag, which is on the right corner at the top. After confirming your item and payment options, click CHECKOUT. Sign into your account or CHECKOUT AS GUEST. have the option to enter the coupon code or gift card. an accepted mode of payment. Don’t worry if you can’t afford to pay in full for an item you really want. HSN introduced FlexPay that allows consumers to make monthly payments through their credit and debit cards or PayPal. When purchasing, the first instalment plus and tax plus handling and shipping fees are paid. The remaining amount will be automatically billed to your account in instalments every 30 days. delivered to your address 3-7 business days. HSN can be contacted through email on their email portal as well as phone. For general inquiries and phone orders reach out 1-800-284-3900. For all Auto-Ship orders contact 1-800-557-0714.
at HSN. Note the return methods available on your packing slip. Choose the return method that is convenient for you. Replace the original shipping label on your package with the return label. Send the package back with your preferred return method. Your refund will be credited to the original payment method once the returned package is received. Although the refund is immediately issued, it might take a couple of days for the funds to reflect in your account. For items received as gifts, they may be returned for in-store credit, which you can use to buy stuff online or on air. save and get the best for less.